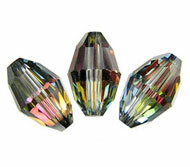 18x12mm Oval Czech Glass Lamp Work beads, Venetian style. Sold by piece. 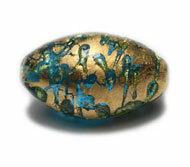 Color: Transparent glass with cracked gold and black spots.